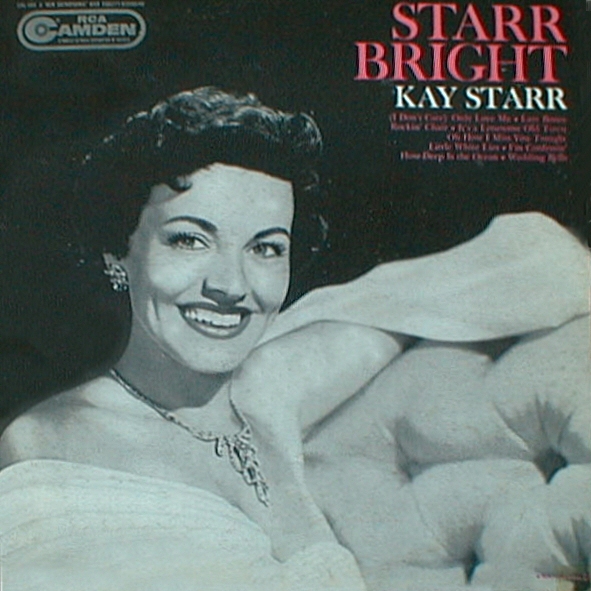 Kay Starr, an artist who hopscotched back and forth through the jazz, country, pop, blues, and rock worlds throughout the ’50s with hits like “Wheel Of Fortune” and “Rock And Roll Waltz,” passed away on Thursday (Nov. 3) from complications of Alzheimer’s at her home in Los Angeles, according to the New York Times. She was 94. Her career began as a teen and ran all the way into her ’80s, and included initial success as a big-band era singer who hit it big as a pop/country artist, then scored one of her biggest hits during the emerging rock scene of the mid-1950s. She was born Katherine Laverne Starks on July 21, 1922, in Dougherty, Oklahoma, to an Irish-American mother and a Native American father, and by seven was already appearing on local radio with her own show twice a week. Moving to Los Angeles after high school, she signed with Capitol Records in 1947 and released her breakthrough hit, “You Were Only Fooling (While I Was Falling In Love)” in 1948. Her big break came with her recording of the country song “Bonaparte’s Retreat,” following Pee Wee King’s instrumental version in 1950. Her version of the tune sold a million copies, and her crossover into country was complete when she recorded four duets with Tennessee Ernie Ford. Starr’s version of “Come On-a My House” (by then already a hit for Rosemary Clooney) reached No. 8 on the pop chart in 1952, and that same year she released her best-known song, “Wheel of Fortune,” which topped the chart for 10 weeks. She signed with RCA Victor in 1955, and her last big hit “My Heart Reminds Me,” was released two years later. Starr had a loyal following of fans up until the end, and continued recording long into her career. In 2001 she recorded a duet with Tony Bennett on his album Playin’ With My Friends: Bennett Sings the Blues.